When: Monday, 18th February 2019 at 7:00pm (please note new date and time). Email director Kaela Gray graela.kay@gmail.com for audition pack. * please note, this role requires an actor who can commit to a substantial part. 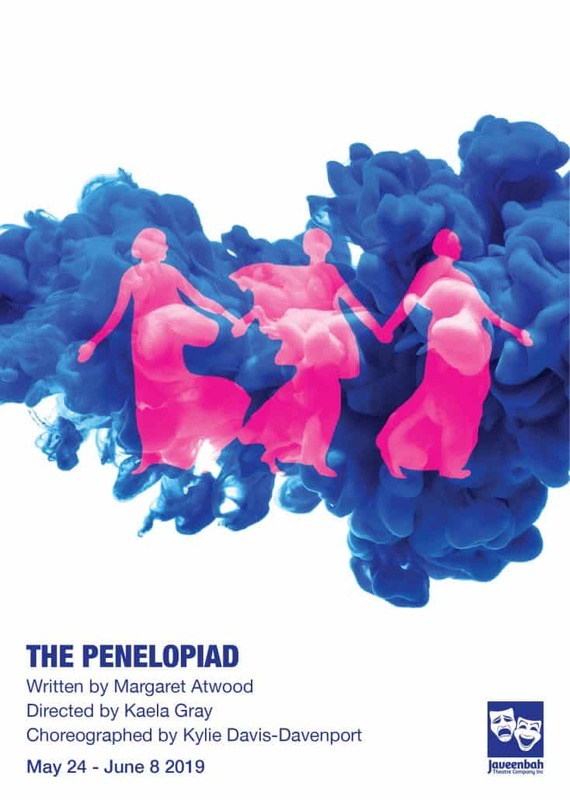 Penelope’s text is laden with monologues and she is the main “voice” of this piece. Atwood’s work is a true ensemble piece, with each actor undertaking multiple roles; these include male and female characters. There will be choreographed movement (as opposed to dancing) and simple singing. A large ensemble is sought for the piece. Beginning in Hades, we meet Penelope as she tells us the story of her life. Through this, we hear the other side of Homer’s ‘Illiad’, learning just what it took to keep the kingdom of Ithaca intact. With her maids’ cunning help, Penelope is able to stave off persistent, unwanted suitors. For this, however, her maids pay a brutal and unexpected price.